This web site is respectfully dedicated to Cliff and Dot Dunn. Their commitment to staffing the Fire Department base radio from 1964 until 1993, 24 hours a day, is a model of civic duty. 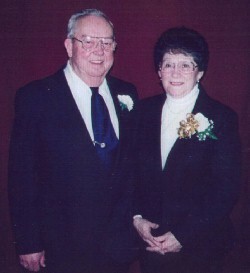 Cliff and Dot Dunn played a major role in making the Mount Vernon Fire Department what it is today.